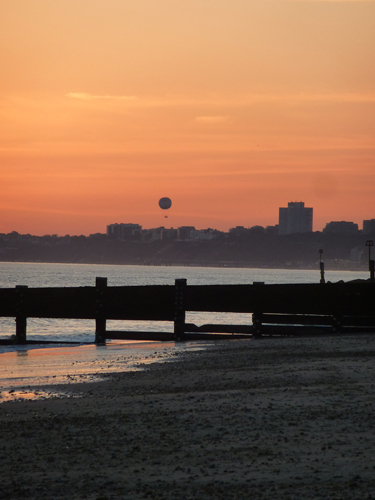 As we start to make our way along Southbourne Beach we have a fine view of our goal, Hengistbury Head on the left and Alum Bay and the Needles on the Isle of Wight behind it. 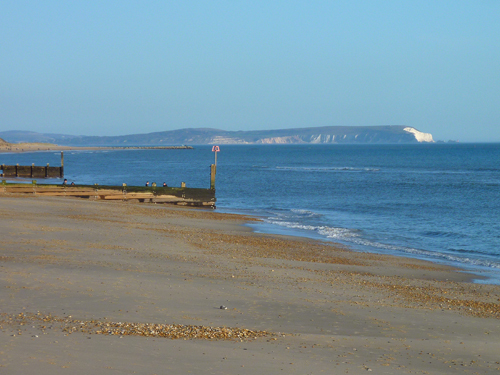 The bright white cliff face is Scratchells Bay on the other side of the Needles. 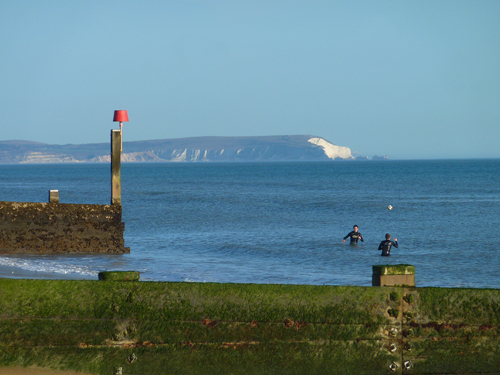 Over the groynes, a closer view of the Isle of Wight. I didn’t notice the guys playing with a football when I took the photo, I know they have wet suits on and the sun is shining, but it must have been very cold in that sea! 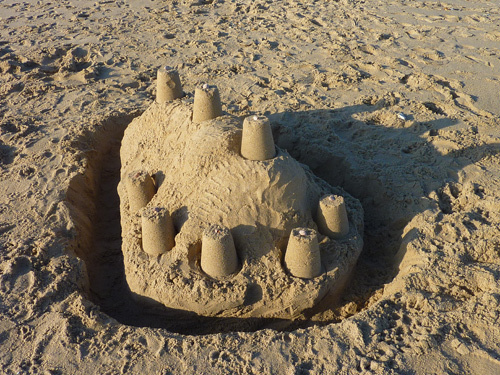 A very fine sandcastle abandoned on the beach. 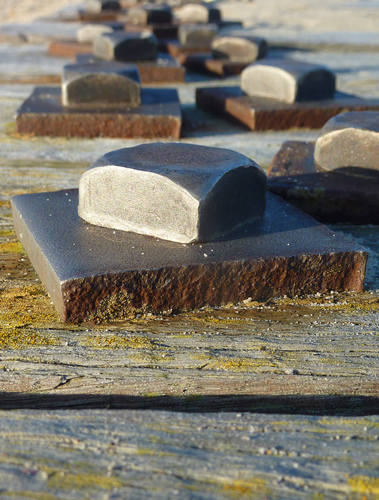 Bolts on the wooden walkway down to the rock groyne. A lot of them! 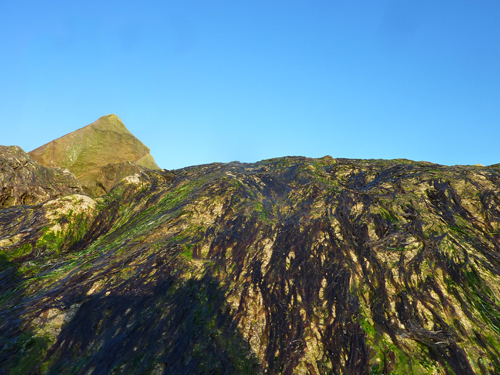 …and there’s the next summit over the ridge. 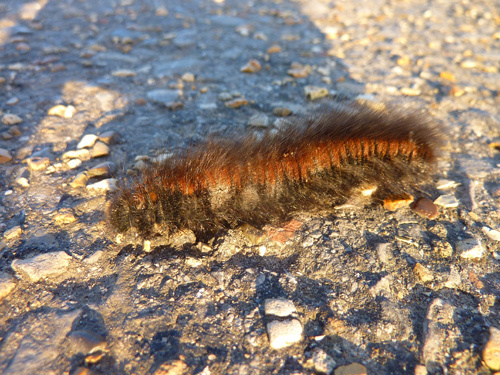 The Isle of Wight – getting closer all the time. 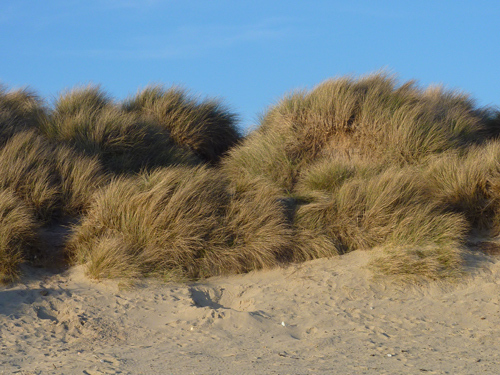 The dune grass at the top of the beach demonstrates how windy it is today. 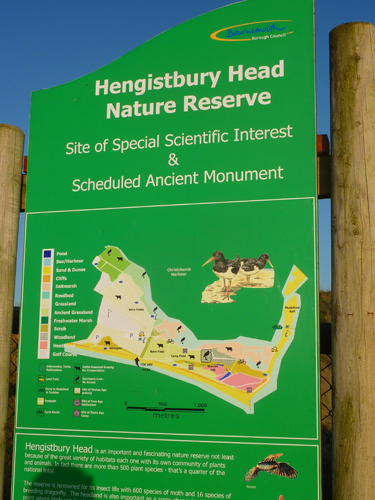 As we reach the foot of Hengistbury Head, the first of a series of signs instructs us about the amazing history of this very special area. 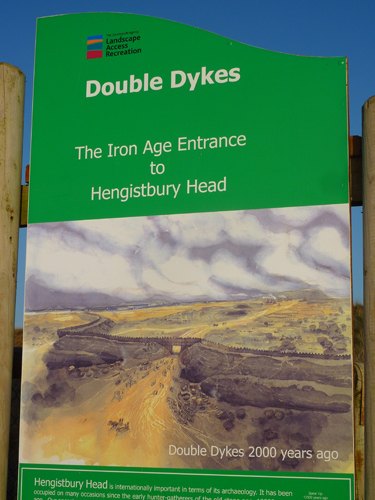 We approach from the double dykes that were constructed in the Iron Age. 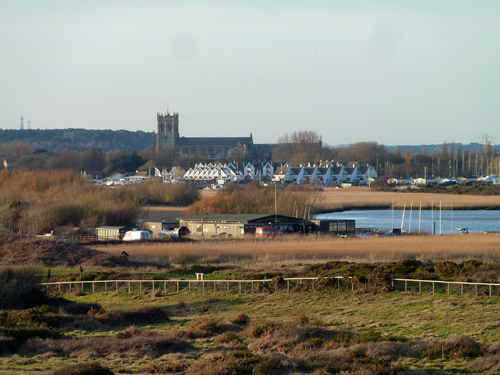 Hengistbury Head has been inhabited for 10,000 years and has a fascinating history. 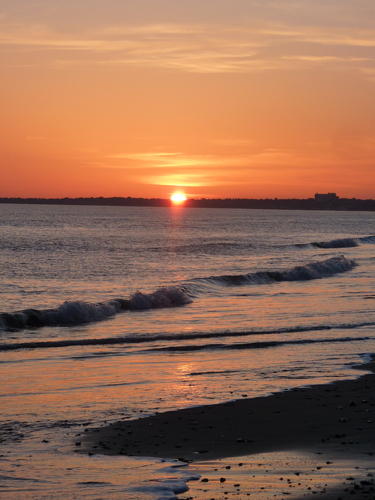 Visit http://www.hengistbury-head.co.uk/ to find out more. 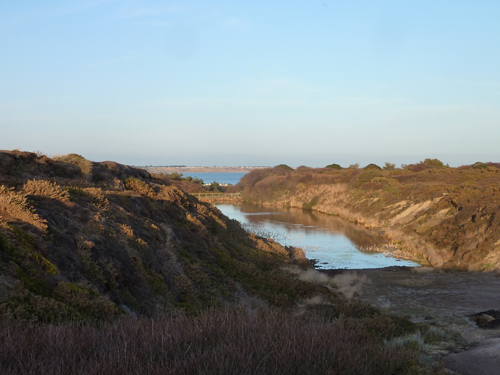 Hengistbury Head is also an SSSI. Harry in front of the Head and the Isle of Wight. 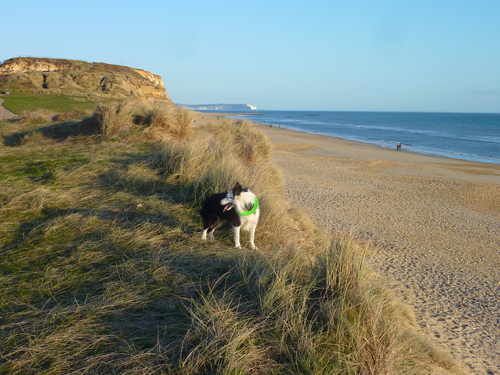 Harry is wearing his frisbee, the only way to stop him constantly wanting to play with it is when he can’t see it. He needs to rest sometimes despite what he thinks! Christchurch Priory over Grimbury Marsh. 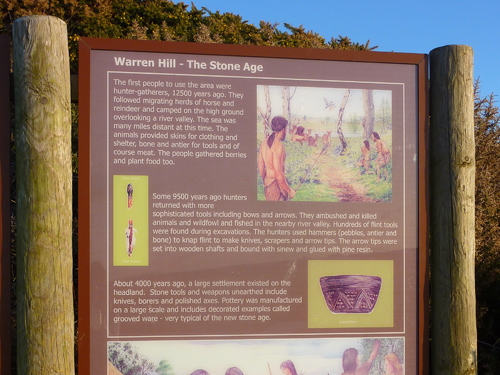 Further information boards on the Head itself detail the history of mans occupation of the headland, the quarry workings and the wildlife that can be seen. 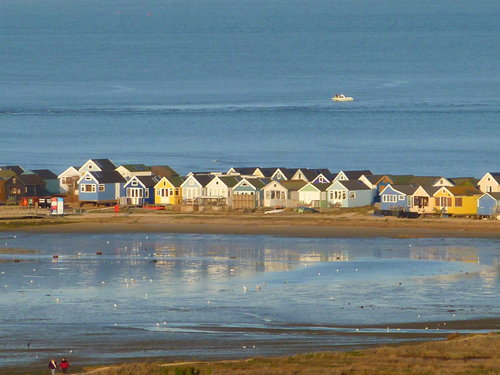 Beach Huts on Mudeford Spit, the sand bar that forms part of the entrance to Christchurch Harbour. The remains of the upper ironstone dogger quarry is now a lake. 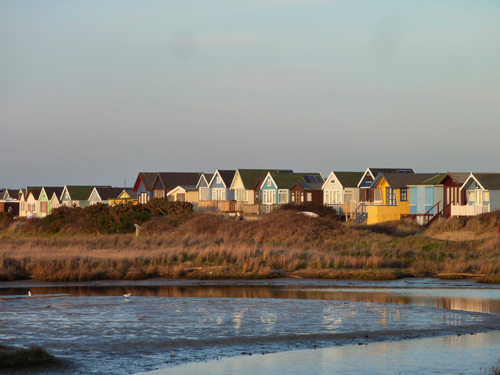 Having walked over the Head, we drop down the other side to the edge of Mudeford Spit and look at the colourful beach huts from a different aspect. 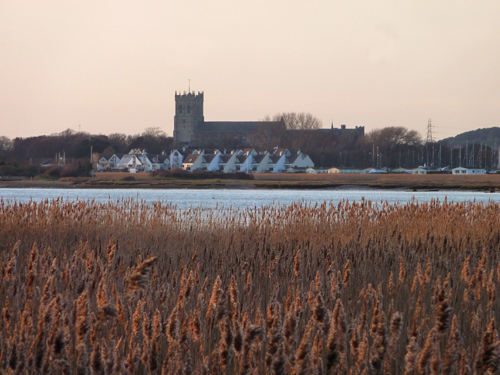 Christchurch Priory over the reeds and grasses. 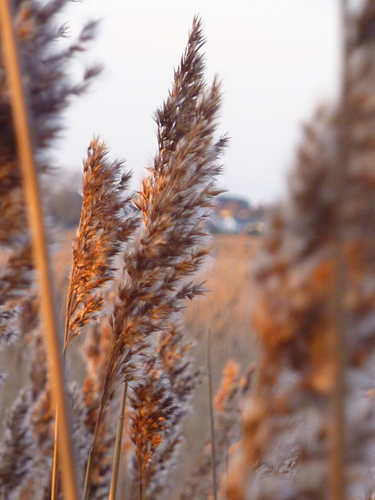 Grass heads in the evening light. 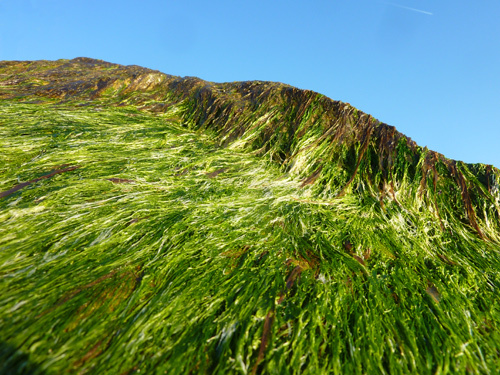 …and over the gentle waves lapping the beach. 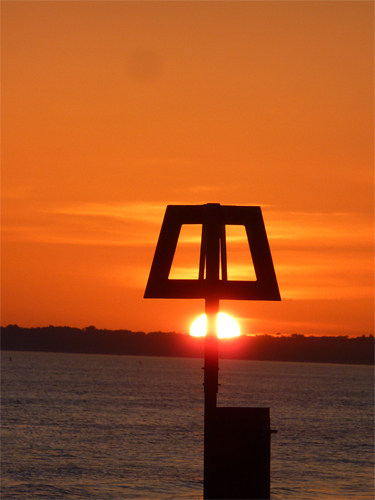 The Bournemouth Eye rising against an orange sky. 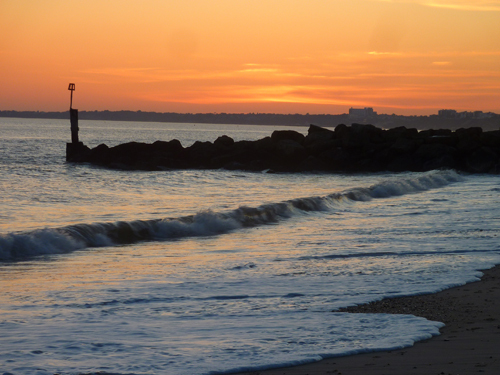 Looking back to that earlier view of Hengistbury Head and the Isle of Wight now in the twilight. 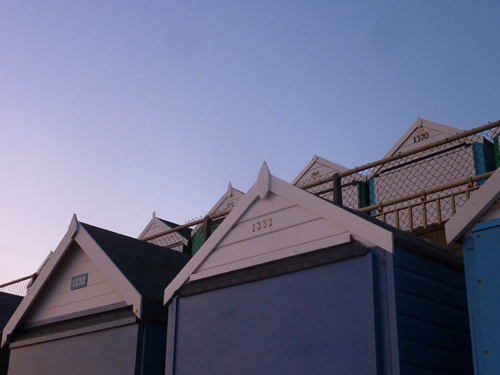 A last look at the Southbourne beach huts. What great photographs. You have a real talent for composition. I’ve only seen the latest ones so I’m going to take my time looking through the rest.